»Out Of Order #5«, 2005, 58 library books on shelf. 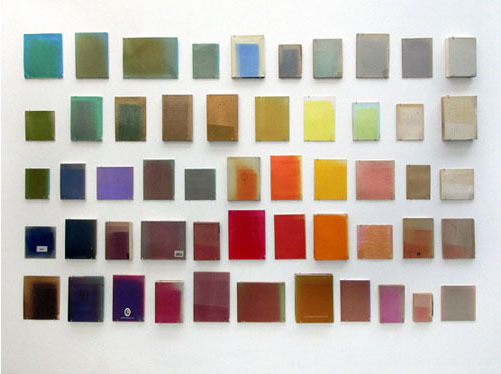 »Out Of Order #1«, 2005, installation view: 53 library books with sun bleached back covers. By Marianne Viero and Laurenz Brunner.